Sign up and receive Property Email Alerts of Houses to let in Sea View Villas, Zimbali Coastal Resort. Special offer during February and up to 14 March 2019. Pay for 2 nights and get the third night free. Cost would be R6 500.00 x 2 = R13 000.00 and get the third night absolutely free. Valid for stays during February and up to 14 March 2019. Set within landscaped gardens with a private pool overlooking the ocean. 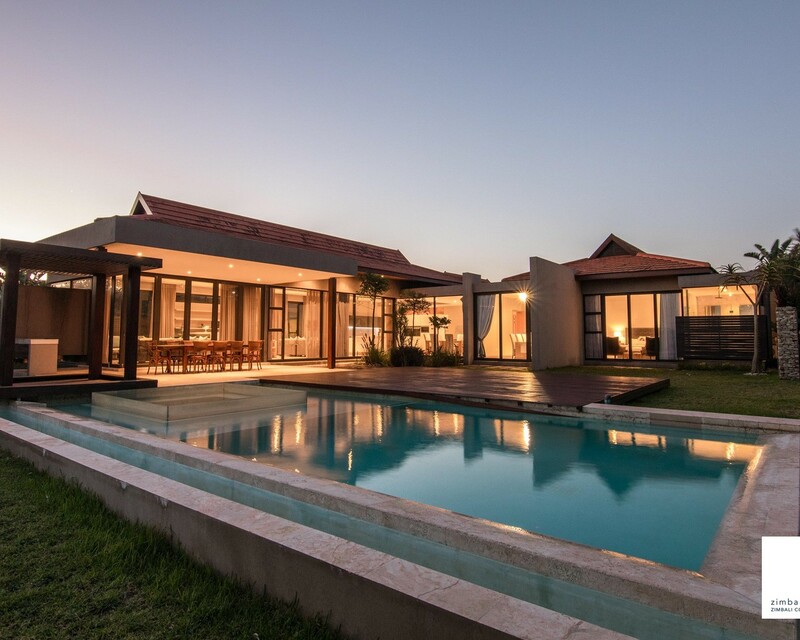 This home is uniquely located within walking distance to the Zimbali pools, Bushbuck clubhouse and hotel. For those who enjoy the beach and nature, set within a luxurious lifestyle estate. This home is a contemporary and streamlined design, which has a casual yet sophisticated layout. The kitchen and two lounges and bar area are the home's social focal point. They extend from the large, dining area and double lounges though fold-away doors onto the covered patio and wooden deck. The four bedroom, four bathroom house is perfect for a large family holiday. Spaciously accommodates 8 people. This is a spectacular modern home. Sign-up and receive Property Email Alerts of Houses to let in Sea View Villas, Zimbali Coastal Resort.